Payment Settings allows you to setup new payment methods or disable payment methods. Additionally, you can update payment integration numbers if necessary. 1. Credit Card - update Merchant Login API and Transaction Key from Authorize.net. Click here for more info. Contact support@farmigo.com to test a $1 payment to ensure your credit card integration has been setup correctly. The PayPal ID is the email you are using for your Standard Business PayPal account. Click here for more info. 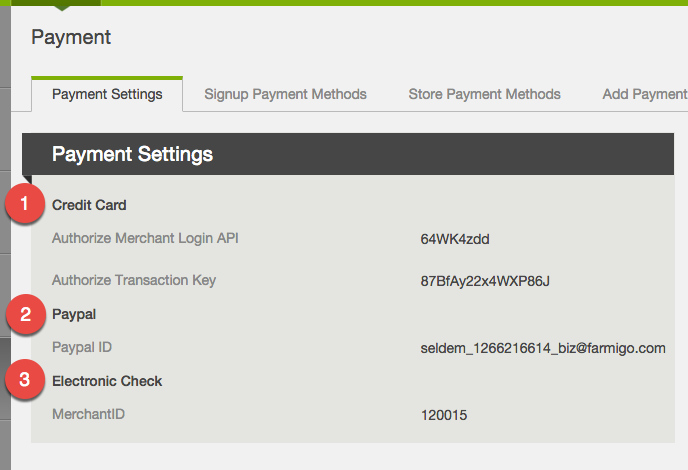 When you apply to accept ECheck, you will get an email from Check Gateway with a 6 digit Merchant ID. Input the Merchant ID number here. Click here for more info. Once you have updated your payment settings, press Save. To enable or disable a new payment method, navigate to the next three tabs, Signup Payment Methods, Store Payment Methods, and Add Payment Methods and add the new payment method to the selected payment methods. 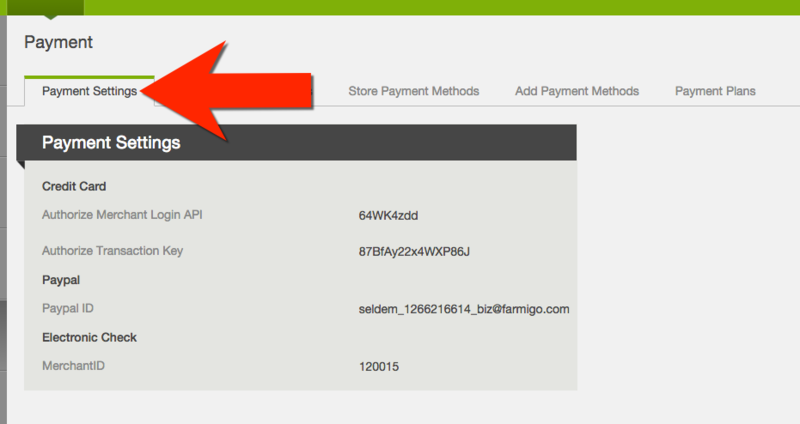 If you have any questions on payment method integration, contact support@farmigo.com with questions!